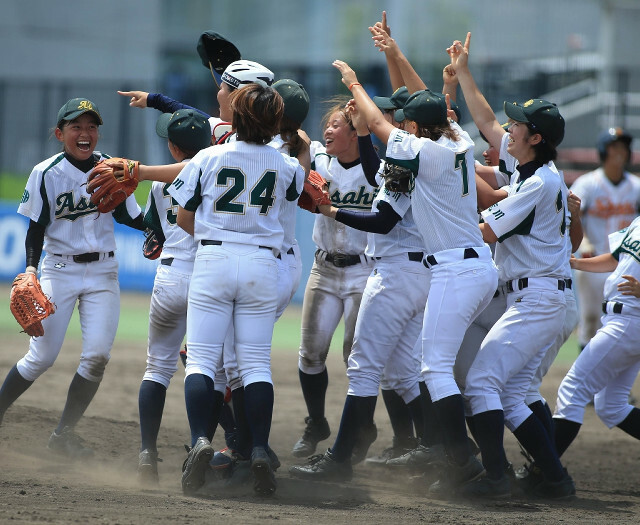 Team ASAHI TRUST won a close game with SHOBI University, both from Saitama Prefecture, 1-0 at the 13th Japan Women’s Baseball Championship in Matsuyama, Shikoku on August 10, 2017. This was ASAHI TRUST’s win for the second time in 8 years. The schedule of tournament which started on August 5 was disrupted under stress of weather forcing Semi-Finals and Finals to play on the same day. 32 teams participated in the Championship. On August 11, Team Madonna Japan comprising 20 U-18 women players started two-day training in Muroto in Kochi City, Shikoku.